Foreign Visitors Chose Tüyap; International Participation Increased by 50 Percent ! 15.04.2019The INTERNATIONAL ISTANBUL STATIONERY OFFICE FAIR, which was organized by Tüyap Fuar ve Fuarcılık Hizmetleri A.Ş. in cooperation with the All Stationery Association (TUKID) at the Tüyap Fair and Congress Center in Büyükçekmece between February 20-24, 2019, achieved the stationery sector’s targets and had a successful closing. 25.03.201920th Eurasia Window, 11thEurasia Door and 9th Eurasia Glass Fairs which were held concurrently by Reed Tuyap on March 6-9, 2019 concluded with a tremendous success. With participation of 614 Companies and company representatives from 27 countries and 68.440 visitors (56.064 domestic, 12376 international) from 117 countries; the fair trio were highly appreciated by the industry professionals. 21.11.2018The 37th International Istanbul Book Fair held by TÜYAP Fairs in partnership with the Turkish Publishers Association and the concurrent ARTIST 2018 / 28th Istanbul Art Fair concluded on Sunday, November 18th after receiving 611,444 visitors. The number of students attending the fairs as a school visit increased by 11% to 183,755. 10.11.2018Organized By TÜYAP Fairs in partnership with the Turkish Publishers Association, the 37th International Istanbul Book Fair opened on November 10, 2018 at the TÜYAP Fair Congress and Convention Center, Büyükçekmece. The fair will be open for nine days and close on the evening of Sunday, November 18. 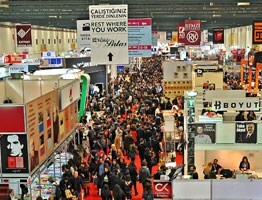 Some 800 Turkish and foreign publishers and nongovernmental organizations take part in the fair under the main theme of “Surrounding Life with Literature” with almost 300 events, workshops for children, lectures by authors and thousands of autograph sessions bringing writers together with their readers. 10.11.2018ARTIST 2018 / Istanbul Art Fair held by TÜYAP Fairs opened for the 28th time on Saturday, November 10, 2018 at the TÜYAP Fair, Congress and Convention Center, Beylikdüzü. The fair will close on the evening of Sunday, November 18. The 28th ARTIST / Istanbul Art Fair organized by TÜYAP Fairs will host a number of galleries and a large project under the theme of EXPERIENCE in Hall 7, and independent young artists and events in Hall 8. The fair opened at 11 am on Saturday, November 10, 2018, and features works by hundreds of artists in two halls and 12 thousand square meters of exhibition space. Held at the Tüyap Fair Convention and Congress Center between October 2 and 7 in partnership with the Machine Tools Industrialists and Businessmen Association of Turkey (TİAD) and the Association of Turkish Machine Manufacturers (MİB) with the support of Republic of Turkey Ministry of Industry and Technology, Republic of Turkey Ministry of Trade, and KOSGEB, the MAKTEK Eurasia Fair went beyond expectations. Number of visiting countries increased by 46% compared to 2016, with 56,526 industry professionals visiting the event to the satisfaction of exhibitors. The Fair also hosted the "Meeting of Women in Industry" and the "MAKTEK Golden Compass 1st National CNC Tooling Lathe Design Contest" to bring a fresh perspective on the industry. 25.06.2018The most prominent hub in Eurasia for machine tools and sheet processors, core elements of production in machine and manufacturing industry, MAKTEK Eurasia 2018 Fair continues its preparations to welcome its visitors at TÜYAP Fair Convention and Congress Center on October 2-7, 2018. Organized in collaboration with Machine Tools Industrialists and Businessmen Association of Turkey (TİAD) and the Association of Turkish Machine Manufacturers (MİB) and the support of Turkish Ministry of Science, Industry and Technology, Republic of Turkey Ministry of Economy and KOSGEB, the preparations for the fair to bring together over 1,000 brands and brand representatives with industry professionals are at full steam. 25.04.2018World Mill Tech - World Milling Machinery Technologies and Side Industry Fair was held at Tüyap Fair Convention and Congress Center with the participation of 190 brands and 127 companies from 16 countries. Organized for the first time with the collaboration between Tüyap Fairs and Fair Services Inc. and the Association of Milling Machinery Manufacturers (DESMÜD), the fair hosted 6,019 visitors from 68 countries. In his opening speech, Hasan Ali Çelik, the Deputy Minister of Science, Industry and Technology, said: “As a ministry, we are at your disposal. By establishing an R&D and Design Center we are ready to provide any kind of support to increase quality production.” Triggering a spurt in exports, the milling machinery industry was able to secure US$ 20 million in exports by selling more than 600 machines to 27 countries at the fair. 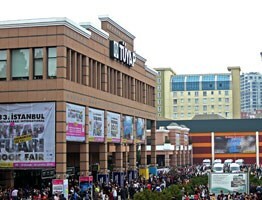 Tüyap Fair and Congress Center became the new home for the Istanbul Toy Fair, one of the largest trade shows in the world and the only large-scale event of the industry in Turkey. Glass Performance Days (GPD), world’s leading glass industry conference, is getting ready to hold its regional event between March 7 and 10, 2018 for the fourth time in Istanbul. And on the occasion of the GPD event, world-renowned British architect Ian Ritchie, who thinks that the architecture should support social values, is getting prepared to get together with architects and the glass industry at Eurasia Window, Glass and Door Fairs. 09.01.2018Istanbul Stationery and Office Fair to be held at the Tüyap Fair and Convention Center between February 21 and 25, 2018 grew by 55% in number of exhibitors, and prepares to create new business connections and opportunities in 5 halls, 40,000 square meters of exhibition space. Hosted by the Ministry of National Defense and under the management and responsibility of the Turkish Armed Forces Foundation, IDEF 2019, 14th International Defense Industry Fair, organized by TÜYAP Fairs and Exhibitions Organizations Inc. will be held on between April 30 - May 3, 2019 at TÜYAP Fair and Congress Center in Büyükçekmece, Istanbul. Adding up to about 5% of the world economy with 4 trillion dollars, automotive is the 4th biggest economy of the world. The automotive industry, which is the leading industry in Turkey as globally, is among those who has the largest share from global trade. Turkey is the biggest commercial vehicle manufacturer and takes the 5th place of the vehicle list in Europe. Compared to 2016, Turkey saw an increase of 35%, 34%, and 8% in minibus, truck and bus exports respectively and our rate of transforming production into export increased at 2% in 2017. EXPOMED, which will open its doors to health professionals for the 25th time between 22 and 25 March 2018 by REED TÜYAP Fairs Inc, continues to grow by expanding Innovation Zone with support from the Turkish Ministry of Health and the Association of Medical Device Producers and Suppliers (MASSİAD). EXPOMED, the biggest medical fair in Turkey and the wider Eurasian region, is preparing to welcome more than 800 brands and brand representatives from over 40 countries in 2018 with a platform that will showcase the latest technology in the health sector, R&D and products that are marvels of innovation. The world´s leading glass Conference, GPD, brings its special regional application to Istanbul, Turkey, now for the fourth time March 7-10, 2018. GPD program in conjunction with the Eurasia Window, Glass and Door Exhibition puts a special emphasis on new innovations in the design, use and processing of glass. Turkey is aiming at ranking in the 10 most powerful economies in the world by 2023 and becoming a global power in 2071. Considering the correlation of welfare and development levels of countries with mining activities, Turkey’s route to achieve its target for the year of 2071 will be through effective mining activities with its high potential in mining. The 36th International Istanbul Book Fair held by TÜYAP Fairs in partnership with the Turkish Publishers Association and the concurrent ARTIST 2017 / 27th Istanbul Art Fair concluded on Sunday, November 12th after receiving a record-breaking number of visitors. The number of visitors to the TÜYAP Book and Art Fairs increased by 20% over the last year to a total of 742,445 visitors. Turkish Airlines (THY) has become the Official Airline of the World Milling Machines Technologies and Side Industry Fair through the TÜYAP Fairs and Fair Services Inc. in cooperation with the support of Association of Milling and Sector Machines Manufacturers (DESMÜD) in cooperation with Turkish Flour Industrialists’ Federation (TFIF), Union of Turkish Feed Industrialists (TÜRKİYEMBİR), International Association for Cereal Science and Technology (ICC) for WORLD MILL TECH 2018 – to be held in TÜYAP Fair Convention and Congress Center in Büyükçekmece-Istanbul on 29th March-1st April 2018. 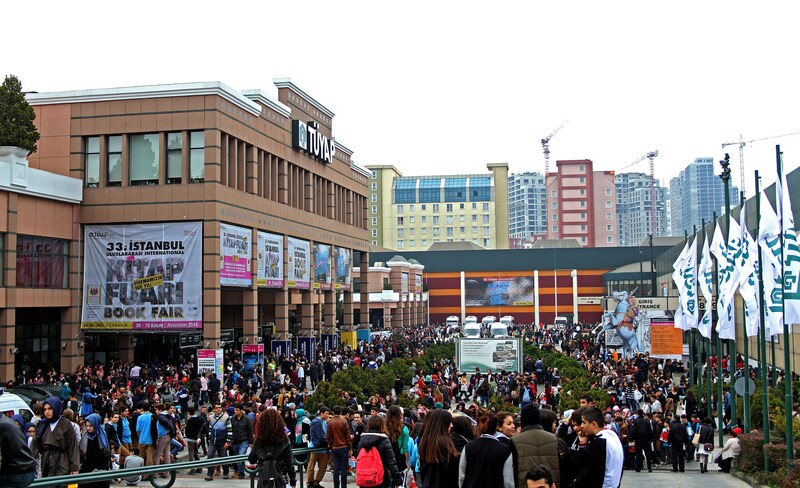 TÜYAP Adana Fairs has successfully organised more than 140 fairs in Adana since 2006. Cihat Alagöz emphasised that TÜYAP Anadolu Fairs A.Ş. is focusing on contributing to the economic development of Çukurova Region. He added that Tüyap had completed the first half of 2017. 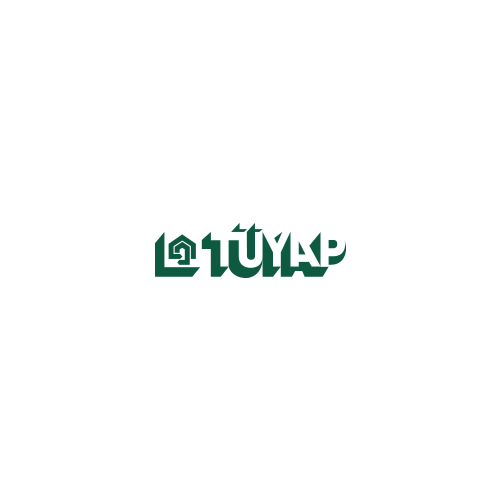 During these fairs, Tüyap has established several meeting platforms between domestic and international companies. In the second half of 2017, Alagöz invited exhibitors and visitors alike to attend many activities that will take place in Furniture and Decoration, International Agriculture, Greenhouse and Garden as well as HOMEbuilding fairs. Plast Eurasia İstanbul Fair which runs from December 6th-9th 2017, is considered the most significant and extensive meeting of the plastics industry in Turkey and Eurasia. With 14 weeks to go, 90% of PLAST EURASIA İSTANBUL exhibition space has been already sold. Plast Eurasia İstanbul Fair is a very important commercial platform for Turkey and Eurasia with the economic growths and developments in Turkish plastics industry. Maktek 2017 Will be Held in Izmir! Successfully organized in Istanbul for years, MAKTEK Eurasia Fair 2017 will be in İzmir! Leading event of the Machinery Industry MAKTEK Fair is preparing to dominate manufacturing industry of Aegean Region in İzmir. To be held in İzmir every other year, MAKTEK İzmir will be the top meeting point for the industry. Organized by TÜYAP Fairs in partnership with the Turkish Publishers Association, the 36th International İstanbul Book Fair will be held between November 4 and 12, 2017 at the TÜYAP Fair Convention and Congress Center, Büyükçekmece. More than 800 Turkish and foreign publishers and nongovernmental organizations are expected to take part in the fair with a host of events, workshops for children, lectures by authors and hundreds of autograph sessions bringing writers together with their readers.